Allow our team to complete every aspect of your order from design through delivery. Each flower arrangement is hand arranged and personally delivered by a friendly member of the Wisteria staff. 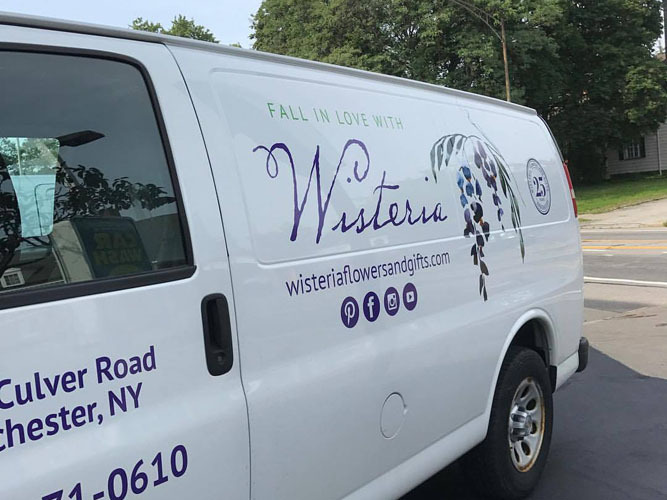 We deliver to the entire Rochester area, including Monroe County, Brighton, Chili, East Rochester, Fairport, Farmington, Gates, Henrietta, Irondequoit, Macedon, Mendon, Penfield, Perinton, Pittsford, Rochester, Victor, Walworth and Webster.